Like more than eight million people around the world who have watched the video I Am a Ukrainian, I was deeply moved by the message of Yulia Marushevska from Kiev earlier this year. Yulia, filmed by Graham Mitchell, captured the horror of the continuing conflict in Ukraine, and the hope for a brighter future for its people. Since then, Yulia has been working incredibly hard to spread her message. She has been on a speaking tour of the US, explaining what is happening in the Ukraine. She has been visiting leaders, organisations and especially colleges across the country, as raising awareness about the ongoing issues with young people is so important. After speaking at Stanford University, Yulia has been offered a two semester scholarship as a visiting scholar. 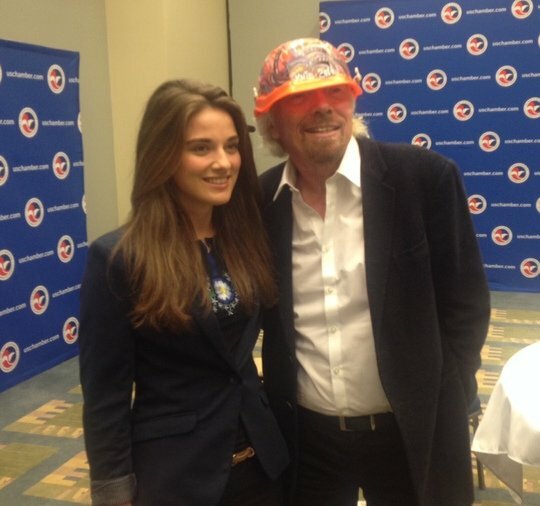 I was fortunate enough to meet Yulia in Washington. She is passionate, bright and very articulate about the need for the West to maintain and increase its support for the country. She told me of the enormous bravery of people in the Ukraine to campaign and then fight for their belief in true democracy. It was an honour to receive a special present from Ukraine, a hand-painted orange helmet which a local artist painted for protesters headed to Independence Square or the Maidan to protest – at the risk of death. 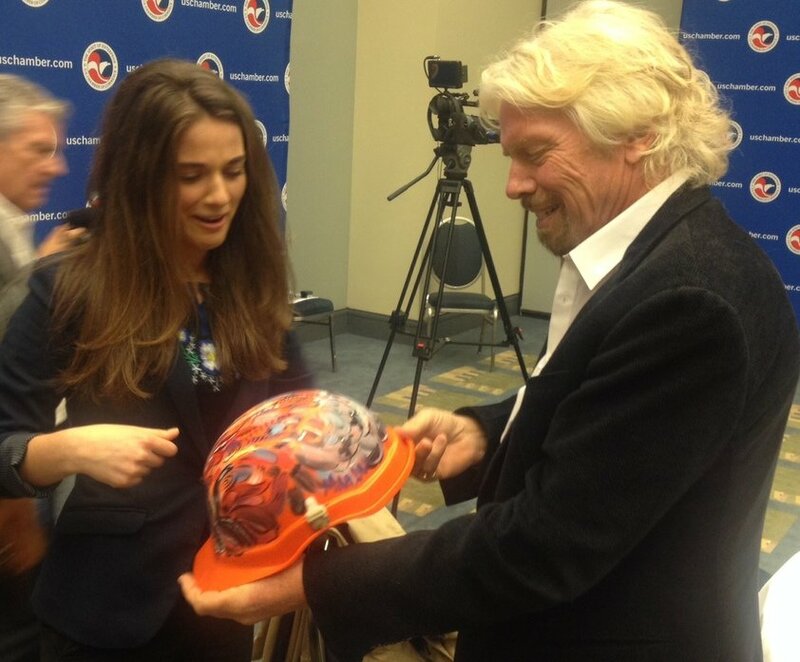 Yulia asked the artist why she was painting helmets for people who were preparing to face mortal violence. The artist replied that, in what might be the last minutes of their lives, the courageous demonstrators deserved to wear something colorful and uplifting signifying hope, unity and strength. The helmets, which were worn by Ukrainians in proud and transparent solidarity, stood out in stark contrast to the anonymous unlabeled uniforms worn by the security services that killed the demonstrators. President Obama has rightly called for Vladimir Putin to use his influence to make separatists in eastern Ukraine stand down, while EU foreign ministers are targeting more sanctions. It was great to meet Ben Moses too, who is travelling with Yulia and helped edit her film “I Am a Ukranian”. He has a history of great storytelling as the author of - amongst others - Good Morning Vietnam and many campaigning films. As well as inspiring words and videos, Ukraine also needs practical steps such as Brain Basket Foundation, which launches today. The foundation is aiming to make IT a driving factor in creating a strong economy, coordinating efforts to train 100,000 people by 2020. By boosting education and creating new jobs, it could help Ukraine get back on its feet. The continuing conflict in Ukraine is very worrying indeed, and we all need to keep up the pressure for true democracy in the country. However, with people like Yulia and organisations like Brain Basket Foundation working tirelessly, there is still hope for Ukraine.